With tremendous thanks for the amazing work you continue to do! in honor of our mechutan, reuven kamenetsky. May he always have the koach to teach Torah. Wishing you nachas from your talmidim as well as your children. To Ben Jaron. Keep up the great work! For only 40 hours, every dollar you donate to Shapell's/Darche Noam and Midreshet Rachel v’Chaya will be doubled. That means you can have TWICE the impact in helping young men and women acquire the skills for a lifetime of Torah, allowing them to build strong families AND become the educated lay and professional leaders of the future. Your gift will go directly toward financial aid so that all students can study with us regardless of their financial capabilities. Our students are generally post-college. They are mature individuals who are often saddled with debt from school and have little (if any) savings. 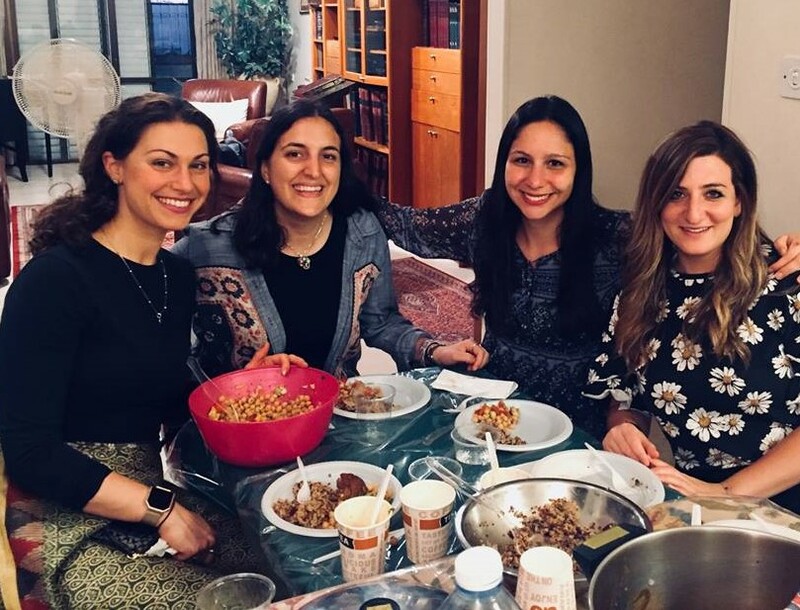 They are eager to gain Torah-literacy, to learn how to learn… and then to take their skills, breadth of Judaism and knowledge to become leaders in the communities they settle in. 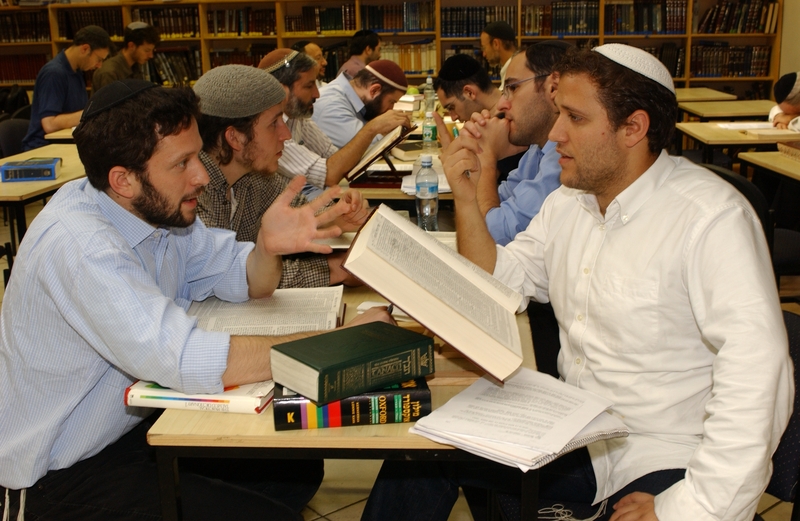 They want to acquire a lifetime of Torah… a goal that their parents are not always willing or able to support. Philanthropy is the primary factor that makes all of this possible. The limited tuition students are able to pay doesn’t come close to covering the cost of providing such a rich and intensive program. Most of our student body relies on scholarships to attend. Our students depend on YOUR generosity. By supporting Shapell’s/Darche Noam and Midreshet Rachel v’Chaya, you profoundly impact these students and their communities. For a lifetime. 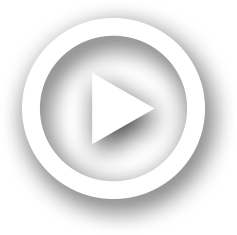 If you or a family member have ever stepped foot through our doors, you know that we are not your typical yeshiva or seminary. Everyone who enters our study halls is immediately struck by the unique and inspiring energy that is in the air. Shapell’s and Midreshet Rachel are singularly focused on nourishing the Jewish mind and soul. Our rabbis and educators infuse joy, love and critical thinking into every conversation and lesson. And growth is approached as a lifelong pursuit. Our students and the communities they will choose benefit from every day they are here. Each and every day. For a lifetime. Because of you, by being part of our world famous program, our students will acquire the skills necessary to “learn how to learn” our classical texts. 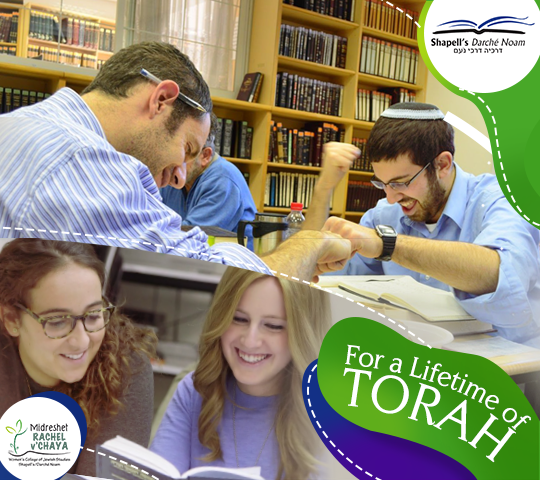 Because of you, they will discover the joy of studying Torah and a lifetime of personal growth and contribution to the Jewish People. Because of you, they will become intensely connected to Israel while living in the heart of Jerusalem and exploring the length and breadth of our Holy Land. When you donate, you ensure that our students become the educated and motivated lay and professional leaders the Jewish community needs for the future. AJ is a senior at a prestigious university. He has worked hard on his engineering degree over the last four years. He is looking for a community of teachers and peers who can challenge him and show him the sides of Judaism that he has never experienced before. AJ is analytical, independent, and intellectually-honest. He has a tremendous desire to deepen his understanding of Judaism. He wants to gain independence in learning. Shapell’s is the perfect match for him. Here, he can gain the skills and knowledge necessary to build a life, build a family, based on Torah values and service to the Jewish People. But, unfortunately, he hasn’t even begun paying off his student loans and his parents are not willing to assist him financially. Or think about a woman like Debra. Debra has been working for a media company since she graduated college three years ago. She has grown tired of the industry’s focus on materialism and wants to refocus her talents and energies to pursuits that help others. But she lacks a deep knowledge of her own tradition, and needs to be in a community of like minded peers to help her discover the purpose of her being in this world. She has been observant since her sophomore year, but still feels frustrated that she lacks knowledge of the details and conceptual framework of that observance, and that she can’t understand the weekly parsha in its original text. She wants to devote significant time to focus on what she realizes is truly important. She wants the next steps of her Jewish journey to take place in Jerusalem. But she simply doesn’t have the means to make her dream a reality. Unless YOU step up to help, bright minds like AJ and Debra won’t be able to reach their Jewish potential. (And they, and their future communities, will suffer the loss). 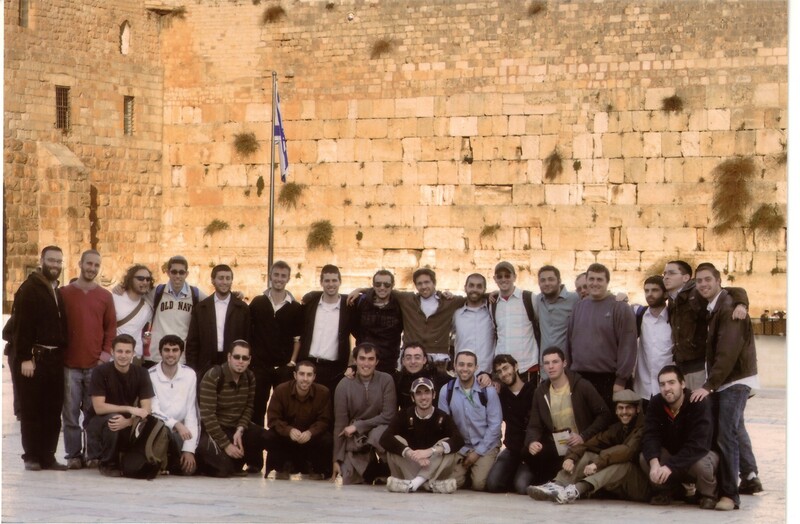 Financial obstacles should never prevent these motivated young adults from obtaining the skills for a lifetime of Torah. Help Jewish young adults like AJ and Debra feel the warmth of growing in our yeshiva by supporting Shapell’s/Darche Noam and Midreshet Rachel v’Chaya today! This cause is so important that a group of generous donors has offered to match each dollar you donate to this campaign. That’s TWICE the impact in transforming the lives of the men and women searching for the warmth and beauty of a rich Torah life! Donate now and ensure that each and every student who wants it has the opportunity to learn at Shapell's/Darche Noam and Midreshet Rachel v’Chaya. Tell your story. Why did you donate to Shapell's/Darche Noam?